The actor Fujimura Handayû II held the name of Fujimura Hanjûrô I from the 11th lunar month of 1729 to the 10th lunar month of 1733. Date of birth unknown. 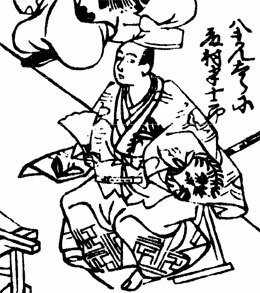 Son of Fujimura Handayû II, he received the name of Fujimura Hanjûrô II at an unknown time. He made an obscure career in Edo and died the 13th day of the 8th lunar month of 1760.